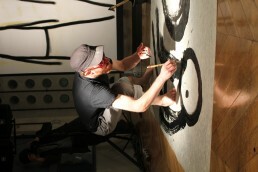 A street artist in East London, STIK had four sold out solo-exhibitions in 2011 and gained an international fan base. 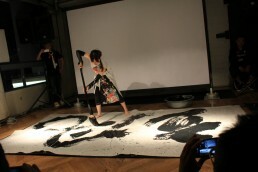 In April 2012, his solo-exhibition “Walk” held at a London gallery sold out within ten minutes after the opening. Social activities are a priority due to his former homeless experience and his activities, both domestic and international, include children’s workshops in UK and Jordan. 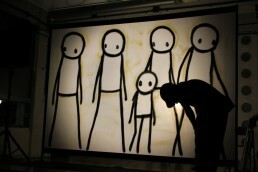 STIK’s works are a highlight of East London’s street art tours. 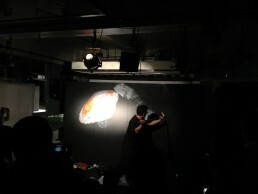 A live painting collaboration event in downtown Shizuoka Cit. Also on site there will be unique, handfinished min-prints by STIK artworks byJapanese artists Riusuke Fukahori and Lenka Iwashina on sale for charity. 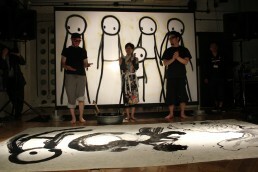 Shizuoka is host to the internationally active, East London-based artist Stik’s first ever street art project in Japan! 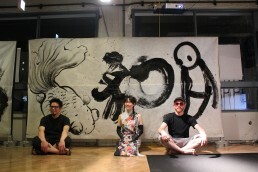 Events include a 50 meter wall painting workshop for children and a gigantic painting with a Japanese culture theme on the outer wall of CCC. 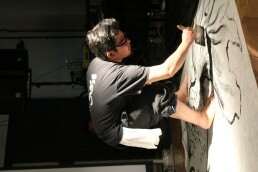 There will also be a live painting performance in downtown Shizuoka City. Event planning : Hexaproject Ltd.